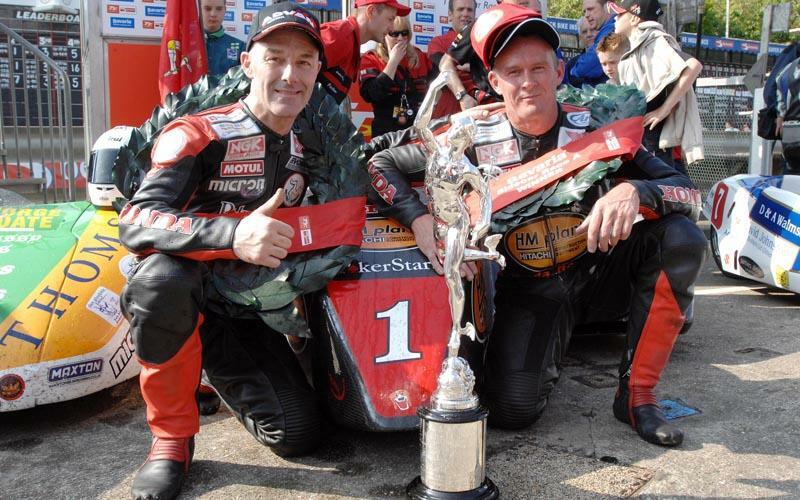 The Isle of Man’s Dave Molyneux and Rick Long have won the first sidecar race at the Isle of Man TT. The islanders started the race and were first past the time keepers around the 37.73mile course but had to wait for John Holden / Andrew Winkle before their victory could be confirmed. The pair, on a brand new sidecar machine after their disastrous fire last year, were in second position behind Holden / Winkle until the final lap. Their average speed going in to lap two was 110.576mph. Holden / Long had extended their early lead to as much as 11.67secs on lap two on the Suzuki K6, but then the second place pair pulled back the tie to just over two seconds after a yellow flag. Molyneux / Long had taken the lead by the time they got to the Glen Helen section by just 0.14secs. From there they put their heads down not knowing they were leading to create a 5.37sec lead by the Bungalow. Holden was quickest leading up to this section with a recorded speed of 141.30mph but it was not enough with the Honda team winning by 6.5secs in the end. Two sidecar teams expected to finish well in this race were Nick Crowe and Klaus Klaffenbock. 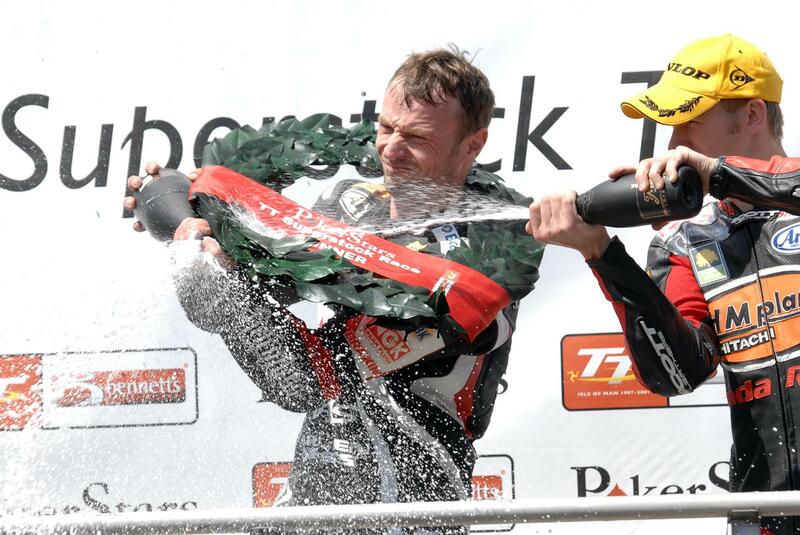 Both retired on the first lap but hope to be out for Wednesday’s second sidecar race.